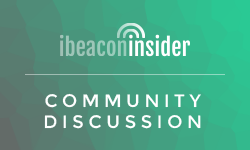 Audience fragmentation is one of the critical issues facing companies investing in iBeacon today. Because iBeacon interfaces with the consumer at the app level instead of the operating system level, iBeacon companies have been challenged with user reach and scale. inMarket, with its Mobile 2 Mortar iBeacon Platform, seems to have taken a step towards solving that challenge with its platform approach. The company now reaches over 30 million shoppers across its network of partner apps. That’s 18% of the US mobile market . If you have doubts, that number is verified by ComScore, one of the largest internet analytics and digital measurement companies in the US. inMarket’s core strategy is reaching consumers in-store through relevant shopping apps – driving improved in-store experiences for app publishers and retailers while giving advertisers the ability to talk to consumers in-store. Partner apps who integrate the company’s SDK can immediately plug into inMarket’s iBeacon infrastructure while taking advantage of other measured benefits from iBeacon, including a lift in monthly active users from the in-store reminders. The problem of scale has been a talking point among iBeacon naysayers. We’ve previously reported that a platform approach might be the winning strategy, and companies like inMarket seem to be proving us right. To give you an idea of the size of the opportunity here, shoppers within inMarket’s network are projected to spend approximately $30 Billion this holiday season, and over $300 Billion over the next year. Brands and Advertisers should be salivating at the opportunity to reach this cohort with relevant in-store messaging. We’ve previously covered inMarket for its role in the first beacon campaign for a CPG brand, as well as its various statistical reports covering iBeacon. 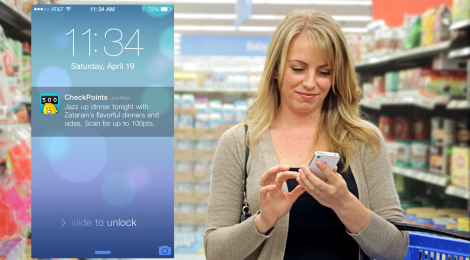 We’ll definitely be watching as the company continues to pioneer iBeacon technology in the retail space. Wow! 18% is a HUGE network already.